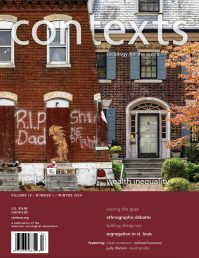 Click here to view all Fall 2018 content currently available at contexts.org. Click here to view the entire issue online at SAGE, with the full issue available for free through January 13, 2019. “letter from the editors,” by rashawn ray and fabio rojas. introducing the special issue on asian america/ns. “race, displacement, and the public intellectual, an interview with viet thanh nguyen.” anthony ocampo interviews public intellectual viet thanh nguyen. “reaching out, an interview with mario luis small.” fabio rojas interviews urban studies scholar mario luis small. “asian americans and pacific islanders on tv,” by faustina m. ducros, christina b. chin, jenny jong-hwa lee, nancy wang yuen, meera e. deo, and noriko milman. representation in media matters—so why is prime time still so white? “asian americans in small-town america,” by emily walton. capturing belonging as a dynamic social process for asian americans in the historically white rural united states. “chinese american ‘satellite babies,’ raised between two cultures,” by leslie k. wang. “satellite babies” may seem odd in an age of “helicopter parents,” yet chinese american families’ transnational separations are relatively common. “a haunted generation remembers,” by shruti devgan. the sikh diaspora, remembering and crafting identity from the violence of 1984. “insurgent political networks and electoral mobilization,” by yang sao xiong. the election of mee moua, the first u.s. hmong legislator, illustrates the transformation of ethnic capital into resistance capital. “asian american men in romantic dating markets,” by grace kao, kelly stamper balistreri, and kara joyner. socioeconomic success doesn’t yet mean social or sexual acceptance for asian american men. “harvesters of the white desert,” by sugato mukherjee. grueling work on the economic and social margins. “losing memories, preserving white morality.” megan r. underhill on whitewashing the south. “clothing resistance.” maría a. cabrera arús on emma gonzález’s sartorial symbolism. “playing foreign and building community at deer park.” dana nakano on sansei teens forging belonging from the illusion of foreignness. “the rise of ethnoburbs.” samuel hoon kye on asian american enclaves and ethnoburbs. “undocumented asians, left in the shadows.” soo mee kim and aggie j. yellow horse on the harms of asian erasure in immigration debates. “risk and race in measuring special education need.” george farkas and paul l. morgan on improving special education provision through metric precision. 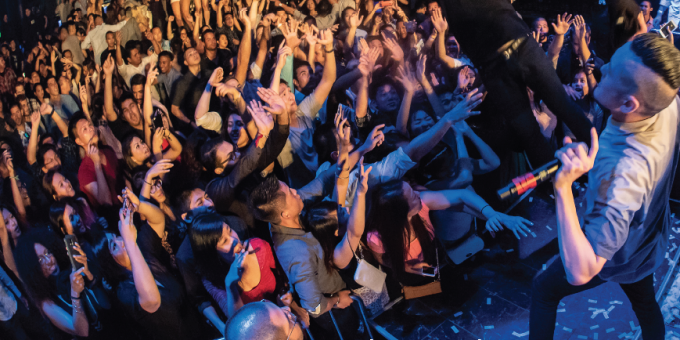 “stop forgetting asian americans.” anthony ocampo on sociology’s blind spot.